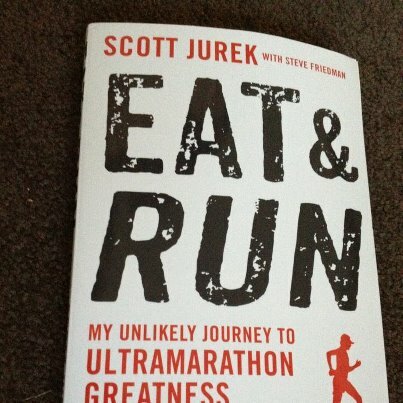 Bloomsbury Publishing have sent me a copy of "Eat and Run" by Scott Jurek with Steve Friedman to review, and the good news for you is that I also have another copy to give away. Simply enter a comment below to be in the draw for a copy on it's Australian release on 1st July. I was intrigued to see what Jurek would write to be different from the likes of Karnazes’ “Ultramarathonman”, “Born to run” and Ulrich’s “Running on empty”. The key difference is that he has consistently competed at the top level and not only won, but set multiple records. The book gives an interesting look into his history, and whilst it catalogues his achievements, they are almost incidental to the message from within its pages. Clearly his has a natural talent for the sport, but it underlines the incredible determination and dedication he had to make to his training to be the very best he can. One very interesting point he made was that he got to a stage where he was running as hard as he could but not getting any faster. So to improve his times he would need to change something else, and he explores nutrition, running form and the spiritual-psychological aspects. Its inspiring to read that the elite guys go through the same challenges as the rest of us mere mortals, and that to win these races you can’t just be gifted, you need to be tough on many different levels. The book has a nice mix of stories, both personal and running related, and each chapter finishes with a tasty sounding vegan recipe that makes you want to get in the kitchen and give it a try. Most chapters also finish with a simple running tip, and given his physio training and experience, they are balanced and “fad free”. 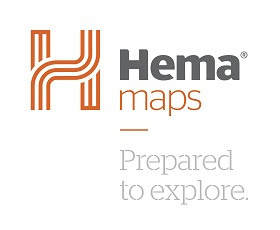 The chapters are typically focused on a particular race or significant event in his life, and he takes the opportunity to give a little history of some of the best known races like Western States, Hardrock, the Spartathalon and Badwater. He comes across as someone with a lot of respect for the sport, its origins and the characters who made it so. You get a better understanding of the community that exists within ultramarathons and the friendly camaraderie that exists at the top level (much the same as us middle to back of the pack competitors experience). What I really liked about the book is that he has a writing style that makes for very easy reading (I read it in three sittings). He gives a different viewpoint to the events of his visit to Copper Canyon and running with the Raramuri, somewhat detached from the more poetic version you’ll read in “Born to Run”, and throughout the book you don’t get the feeling that writing it was an ego trip in any way. I got the feeling that to write the book was part of his ultrarunning journey, and in line with the sport’s ideal of sharing knowledge with fellow competitors. He makes a great observation on this topic that basically you may as well share all you know about your training and the sport in general, as on race day it comes down to mindset and strategy. So in summary it’s a great read and one I didn’t want to put down. After you get past the first couple of chapters where the picture is painted of Ultrarunners being super humans, it settles into its stride where it will inspire the non runner to put on their trainers, and the experienced to want to do more. He makes some compelling arguments for vegetarian and vegan diets, without coming across as some sort of new age evangelist. He simply states the benefits he has experienced from such a lifestyle, and has shown that on a vegan diet you can run 100miles or more and win. I’ve come away from reading the book with a far better understanding of the sport, the elite competitors, and that Scott Jurek isn’t all that different from you or I – and that is inspiring in itself. Don't forget to leave a comment below (even if it's just "Count me in!") to be in with a chance of winning a free copy of the book when release in Australia on 1st July. Scott Jurek is definitely one of the more interesting characters at the pointy end of the field. I've enjoyed reading his contributions to blogs and magazines and I'm looking forward to the book coming out here. Once again Andy, you've given the review a bit of yourself; almost as if you know Scott and have shared his 'adventures'. Undoubtedly , a good read, both your review and, I'm sure Scott's book. I particularly like the way you describe the tone of the book - 'nutrition, running form and the spiritual-psychological aspects.' Most of us forget the spiritual side of our sport; running to me is a 'Higher Power' that I am fortunate enough to have developed. Thanks Mate, for a good look at what is obviously a good read. If I don't win it, I WILL buy it! Nice review! I also like his recent interview at nomeatathlete .com and despite his fierce drive he came across as a down to earth guy. Thanks Andy - your review is enough for me to want to read the book to get ail. Sounds interesting, and glad it's not just a book about how great it is being vegan. I liked Scott from the first time I met him at a race...he was there cheering on the rest of us long after he finished his race. The recipes at the end of the chapters is a cool idea, too! Just a bit of encouragement to try something new for those who may think that being vegan means eating lettuce all the time. Thanks Andy! The book sounds interesting and I am in need of a good book! I have always admired Scott and I look forward to reading about his adventures and experiences out on the trail and in the kitchen. I am in the middle of the book right now and love it. As you said, hard to put down. I love the recipes he shares and will try most all of them! Scott is a true gentelman...always has been. And your quote that his writing this book didn't seem like it was an ego trip is spot on. You don't get that ego trip feeling at all. He is just sharing his knowledge and his life/experiences...and wanting to help others! I love this man! I am very excited to read this book! I greatly admire Scott and am happy that the book seems to be well-liked by so many other great runners. Thanks so much for offering "Eat & Run". I want to read this book, and I will, but a free copy of my own would be great! Awesome review Andy! It sounds like a must read in my collection. I will give it a few days and if not lucky I'll shop for it! Always great to read you. thanks for sharing. makes me want to read that book! Vanessaruns got me started on this site!!! I would love to win a copy of your book!! Count me in!!! I can't wait to add this gem to my running library. What I like most about Scott Jurek is that unlike many professional athletes he is still real, human, and approachable. Thanks for the review! would be nice to add to my collection. This has been on my to-read list ever since it got announced. Count me in! Congratulations to Dean Cox! The draw has been done (by my son Harry) and the book will be on it's way to Dean soon. Thanks for reading the blog, I really appreciate the feedback and support.